This week on PodMania Pro-Wrestling Podcasts Presents BoredWrestlingFan Radio, we show up late, talk about CM Punk’s loss at UFC 225, Chris Jericho’s IWGP Intercontinental Championship victory, as well as Kenny Omega winning the IWGP Heavyweight Championship at NJPW Dominion, and gloss over this week in WWE. 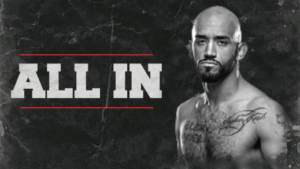 In the news, Punk at least claimed victory in the court room this week as he and Colt Cabana were found not guilty in Dr. Chris Amann’s defamation lawsuit. Jericho and Omega weren’t the only ones taking home new gold in NJPW. Ronda Rousey gets honored by UFC, our Total Bellas preview, and more!